You may have heard that Taiwan is experiencing a bit of a boom in tourism, as people realize that the nation once described by Portuguese sailors as the ‘Beautiful Island’ is indeed a place of incredible beauty. But while the tourist attractions (and there are a lot of them) are all well and good, where do the locals go when they want to get away from it all? Here are seven places in Taiwan that locals love. It’s one of the most popular beaches in Northern Taiwan and with good reason. Easily accessible from Taipei City, Fulong is a pristine beach with golden sands and wooden pathways that weave their way through the dunes. It’s also considered a good spot for surfing. The beach is only a short walk from the train station at the center of the village, which also happens to be home to quite a few local restaurants. 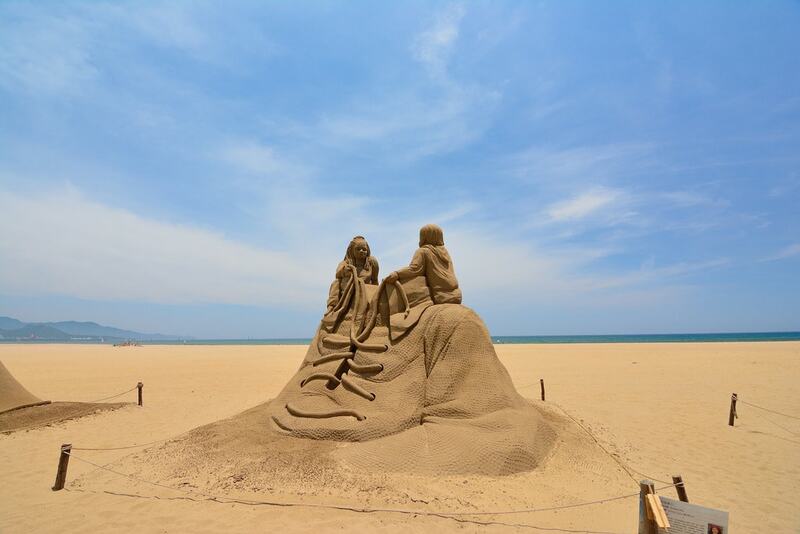 It’s a great day trip especially if you come out during the Sand Sculpting Festival in early summer. However, you might want to give the place a miss during the HO-HAI-YAN Gongliao Rock Festival in late summer. Unless you’re there for the music, there may be a few too many people there for your liking. 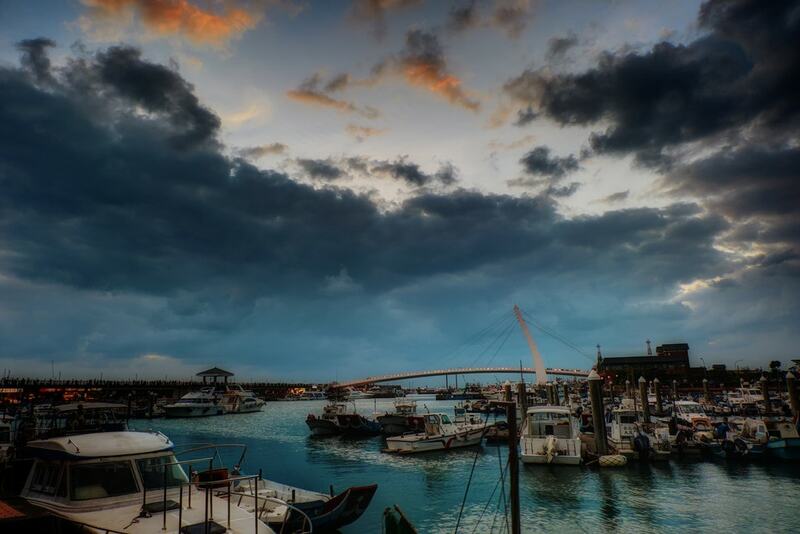 Jiaoxi is a small township in Yilan County that is less than an hour’s drive from Taipei City. Here, there are many hotels and small guesthouses with hot springs baths, which makes it an incredibly popular destination for a weekend outside the city. Some day-trippers head there by car, but to avoid traffic it’s best to take the train. There are some nice easy walking trails near in the area and some waterfalls that locals like to hike to. But in all honesty, this place is all about the hot springs and there are several public spring baths in the area. 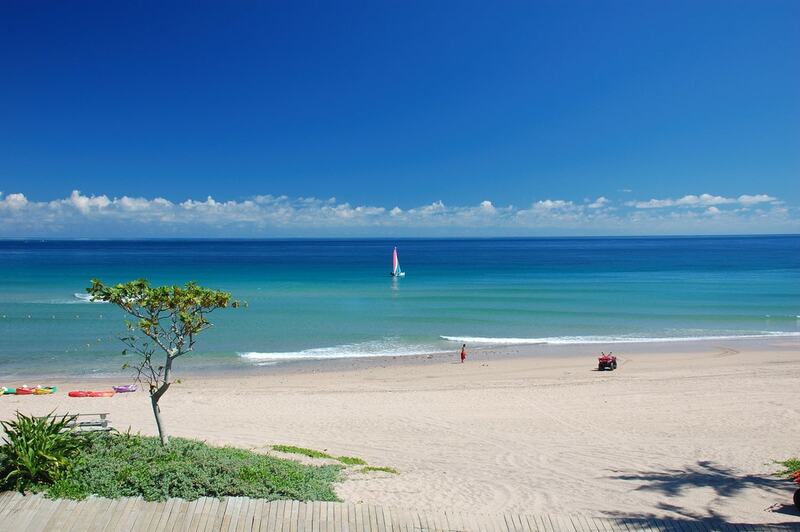 While Fulong is probably the best known beach to the north, the beaches of Kenting are more popular for extended beach holidays. Here, the beaches are beautiful and clean, and you’ll find that the weather is quite temperate even during the supposedly cold months of winter. But Kenting isn’t just all beaches. As one of the most beautiful national parks in Taiwan, it is also home to some stunning hiking trails some of which offer incredible views of the ocean. 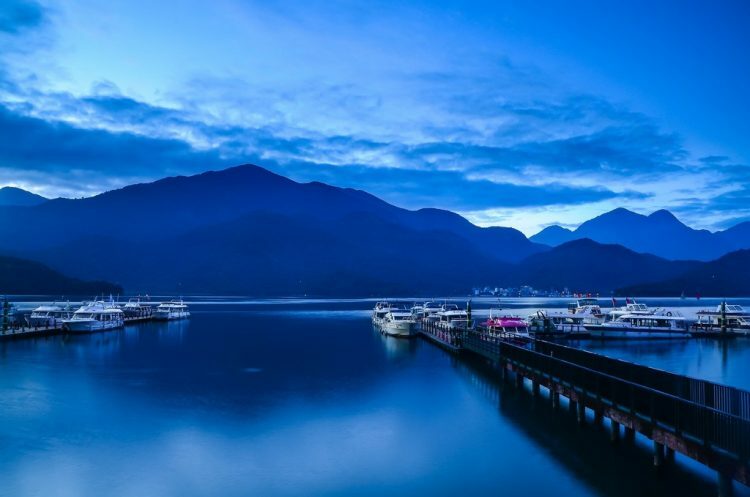 Taiwan’s largest body of landlocked water lies in Nantou County, and its scenic pathways along with yacht cruises across the lake make it one of the island’s most popular holiday destinations. 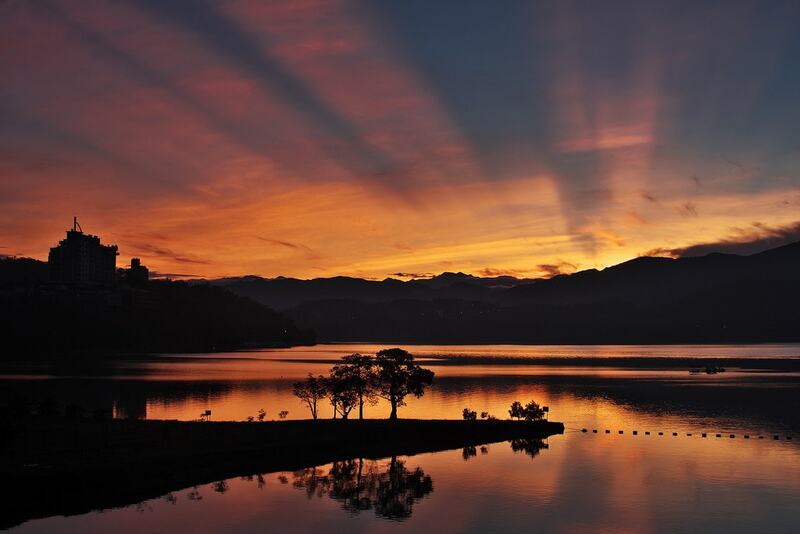 The lake is surrounded by guesthouses and hotels, while there’s also the Formosan Aboriginal Culture Village theme park to keep visitors entertained. The theme park is accessible by gondola, which in itself is lots of fun. 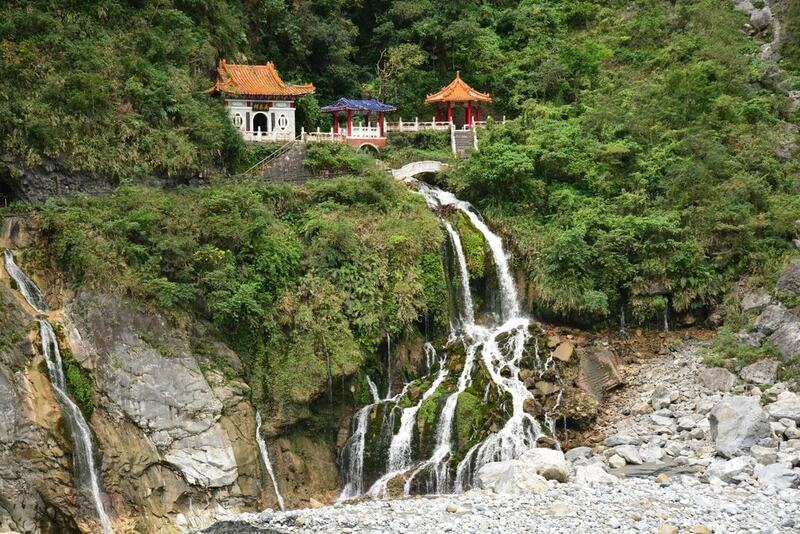 Hualien County is home to Taiwan’s most popular and impressive natural tourist attraction: Taroko Gorge. The gorge is located in the national park and features impressive rock formations, hiking trails, tunnels, caves, and the visually stunning Eternal Spring Shrine. 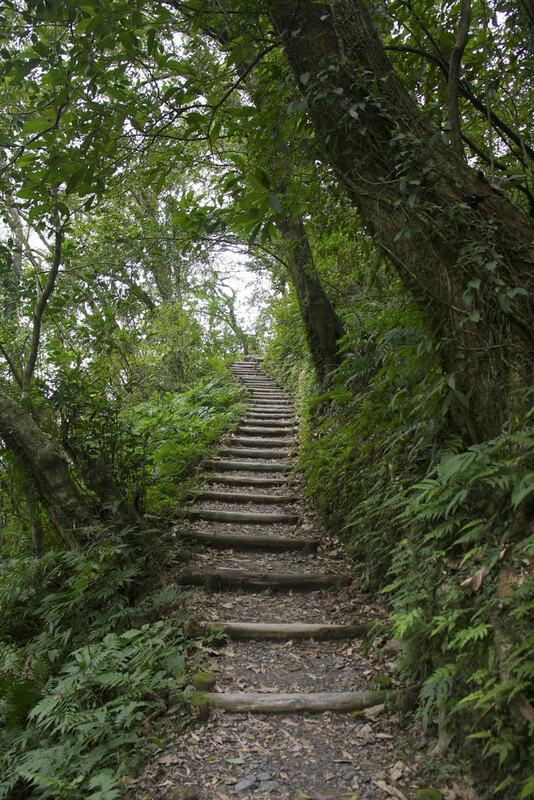 However, locals don’t visit Hualien for the gorge alone. The city itself is also a popular weekend destination, and with its relaxed way of life and countless cafés and restaurants, it’s easy to see why so many people enjoy spending time there. 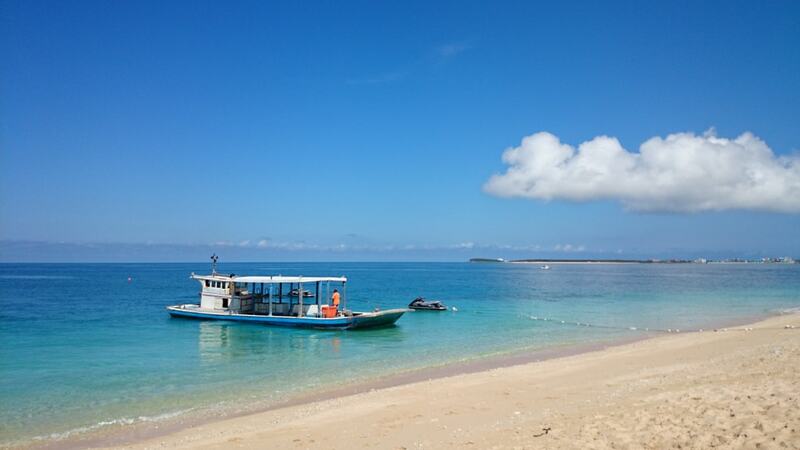 While Kenting is the most popular beach holiday destination in Taiwan, Penghu is certainly the most beautiful. This group of islands off the east coast of Taiwan are filled with pristine beaches where locals enjoy quiet weekend trips away from the busier areas on the mainland. The main city of Magong is home to Penghu’s airport, and thus it is the most popular starting point for a break there. From here, it’s possible to take boat trips to other islands such as Jibei, where there are some stunning stretches of beach. Just to the north of Taipei City lies the district of Danshui. This one-time busy port town is now a tourist-oriented seaside area complete with a wharf and promenade where visitors can enjoy fresh seafood while watching the sunset. Danshui is also home to a number of historical tourist attractions and Danshui Old Street, which is lined with traditional shops and street vendors. This is perhaps one of the most popular day-trip destinations in the country due to its proximity to the city and the fact that it’s served by an MRT line.